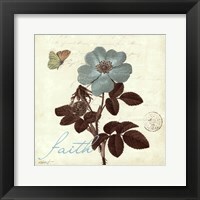 While this Touch of Blue IV - Love print is supplied by a top art publisher, your framed artwork will be hand finished based on your customization in-house by our skilled framing craftsmen. 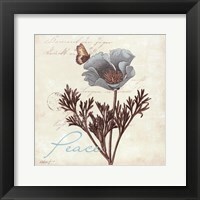 A frame not only protects your print but can also add class and style to your finished art product. Whether you choose a frame that matches your current wall decor or one that compliments this fine art print, each framed Katie Pertiet print has a 100% satisfaction guarantee to ensure that you are happy with your new framed art look and feel.